There has been confirmation that iPhone 5 is GSM unlocked. If you try to use an AT&T Micro SIM by cutting it down, the new device will pick up a signal of AT&T on a Verizon iPhone 5. This will allow you to use your factory unlocked iPhone 5 on any carrier in the world, tested on AT&T’s HPSA+ network, also known as ‘4G’. Read on for more details! This is indeed true. A Verizon iPhone 5 customer, even under a brand new contract, can use the carrier’s iPhone 5 on T-Mobile or AT&T. There is Nano SIM cutter being offered by YoYoBase. We don’t recommend you to try cutting the SIM on your own. You can also pick up the Nano SIM from T-Mobile or AT&T. This will give you access to the desired network. 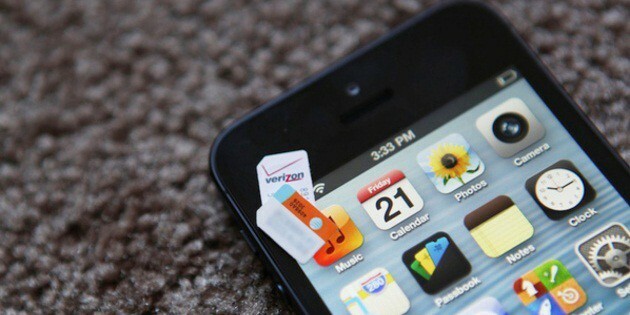 Verizon confirmed the iPhone 5 is GSM unlocked, and can be used with under SIM. This is even for customers who are under contract. This is good news for those who travel regularly, as well as the customers. Let’s see if this is only temporary or otherwise. Watch the video made by iDownloadBlog. If this doesn’t work or you are using another carrier, then you don’t need to worry. Unlockboot has another solution for you. Our official partner can still unlock the sixth-generation iPhone. UnlockBoot offers a factory unlock solution for the iPhone 5/6/6S/SE/7/8/X. IMEI carrier unlock is the name of this solution. For further details, you can check out the prices and supported devices here. You will be guided to the procedure on how to get the factory unlock iPhone 5 on iOS 6. If you are unsure what carrier you’re locked to, check the IMEI number from here. After getting a permanent IMEI unlock, your iPhone 5 can be used on any carrier in the world. Latest basebands and firmware can also be updated without any worries. Did your Verizon iPhone 5 work on AT&T or T-Mobile? If not, UnlockBoot has your back!